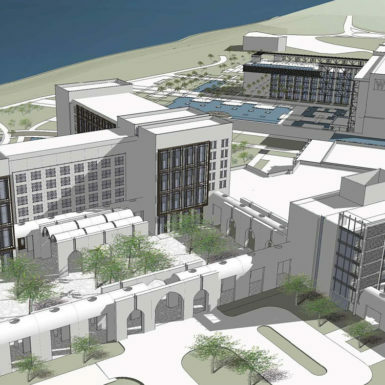 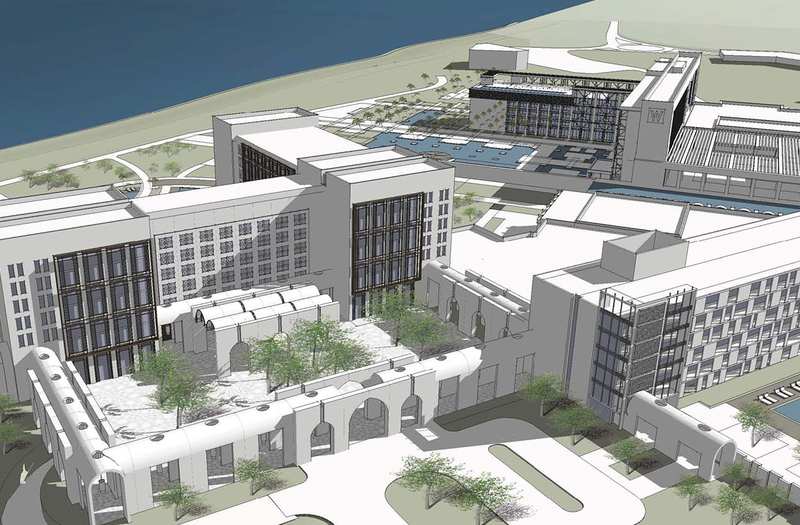 This 32 acre beachfront site on the Gulf of Oman featured an aging Intercontinental atrium hotel slated for demolition. 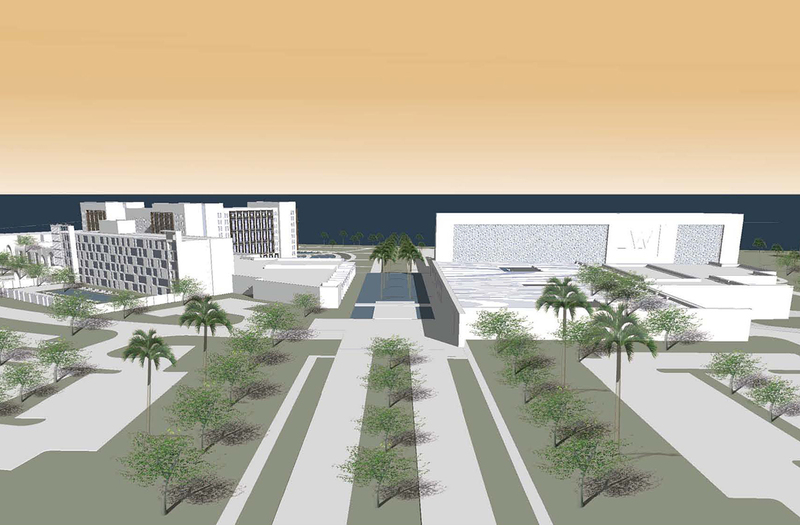 The site is located adjacent to the Sultan of Oman’s new performing arts complex, and the Ministry of the Interior. 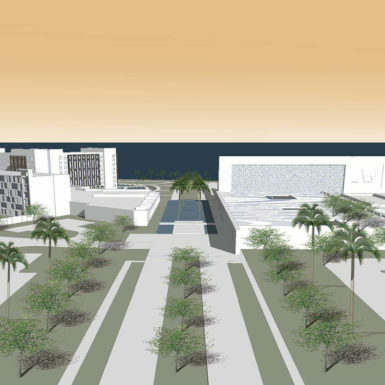 The Ministry of Tourism wished to maximize the site’s enormous potential by re-developing it. 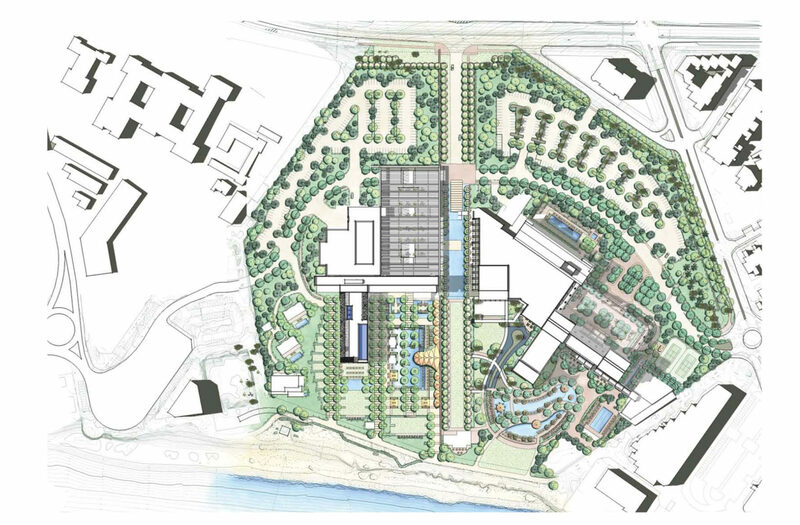 The design team created two conceptual masterplans to integrate a W Hotel, a Sheraton and an extended stay hotel into the site while providing new civic open spaces, vistas and amenities. 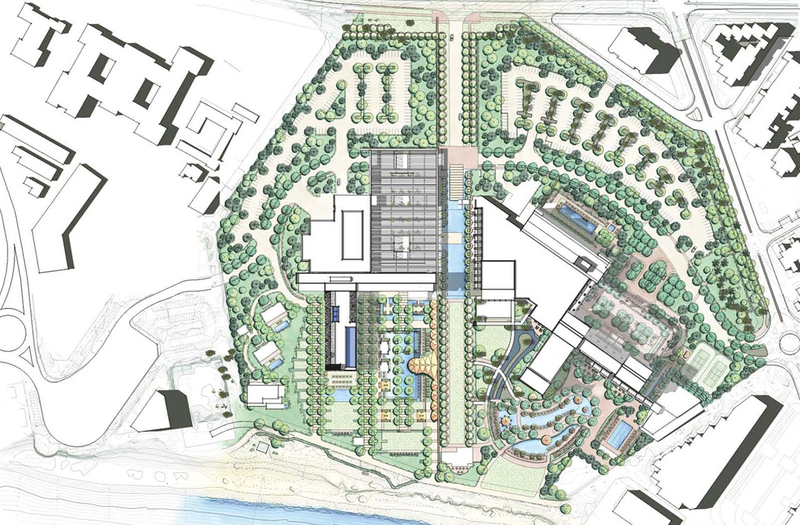 Critical issues in the development of the master plan included defining a conceptual architectural vernacular for project components so that they related seamlessly to the surrounding city, as well as determining optimal beachfront access for each hotel. 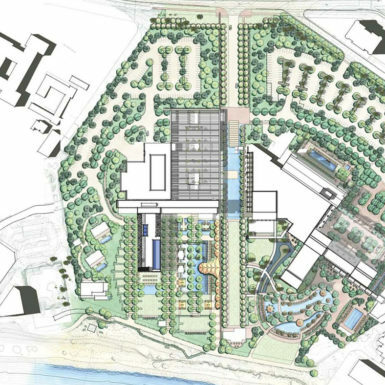 A formal public promenade was designed through the center of the site from the Performing Arts complex to the sea, creating a view corridor, enhanced public access to the site amenities, and separation between the W and the other hotels.